Why should you spay/neuter your cat? You may have heard it said that leaving your cat ‘intact’ is kinder than having it neutered or spayed, but most vets would argue this isn’t the case. In fact, cats that aren’t neutered are susceptible to more health and behavioural problems than their ‘fixed’ friends. For one thing, cancer is more likely with intact cats, whether male or female. These cancers will severely impact life quality, if they don’t prove fatal. The potential for your cat developing uterine cancer disappears after spaying and the risk of mammary cancer is reduced by 25%. It is believed that roughly 90% of cats with mammary cancer do not survive it. 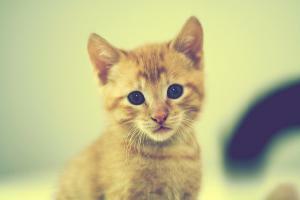 Neutering a male cat also carries benefits by reducing its risk of testicular cancer. A neutered male cat will also feel less of a need to roam from home, as there won’t be the same urgency to find a mate. This means a safer existence, away from the busy roads and from other tomcats that could pose a threat. Violent altercations between male cats has the potential to transmit serious diseases and infections from one cat to another, including incurable diseases such as FHV-1, or Feline Herpes Virus. Neutered cats are also much better behaved once fixed and will be less aggressive and vocal. They will be less inclined to urine-mark their territory as well, saving a lot of cleaning at home. Female cats that are spayed won’t go into heat, meaning their yowling and frequent urinating to find a mate will cease. Intact females go into heat for 4-5 days every 3 weeks during breeding season and exhibit a number of unfavourable behaviours. Once spayed, your female cat should be happier, quieter and calmer. Spaying your cat also reduces its risk of urinary tract infections and hormonal imbalances. While there are risks associated with any type of surgery, sterilising a cat is considered fairly routine and straight-forward. That said, no two animals will react the same so it is important to make sure your cat is fit and healthy before putting it through the procedure. Spaying a female cat involves surgically removing the ovaries and uterus, which is performed under general anaesthesia. Although the procedure is invasive, it usually requires only short hospitalisation and your cat can normally return home with you the same day. This is the same for male cats that are neutered – a procedure which involves completely removing the testicles. “Chinnie was about 6 months old when she was spayed, so perhaps a little older than recommended. Until I was certain that she was fast enough and strong enough to keep herself safe from the big dogs in neighbouring gardens, I didn't want to leave her out during the day while I was at work. When she first came into heat, it was my final hint to get a move on and book her in before the local toms paid her too much attention when she did go out! Both Chinnie and my two year old male terrier went in the same day to be neutered. I dropped them off in the morning and picked them up the same day which was good for everyone. When I got them home, you'd have never known that anything had happened to Chinnie (apart from a shaved patch on her side). The first thing she did was leap around swatting flies on the window and was happy as anything, with a good appetite. My dog on the other hand, felt very sorry for himself and didn't want to do anything for at least a day or two. When I had my first cat - well, actually it was first two cats - I made an appointment at the vet to have then health checked, and to get them registered with the vet. She asked if I was going to have them neutered, spayed, (one Queen one Tom) and, as they were the first cats I would be responsible for, I asked her advice. Get them done asap, I was told, as Queens will produce litter after litter, and the Tom will be chasing after unneutered Queens. She said that their chances of getting certain diseases would be a lot less, and the wounds caused to Toms by fighting over a Queen, could be horrendous, and cause abscesses, which could take ages to heal. Naturally, I had them both done when it was time, and never regretted it. Since that time we have had dozens of cats, and all of them, without fail, have been neutered - even the big ginger Tom who adopted us, and had three nasty wounds on his back which needed treating. He put on weight, his coat was glossy, and he lived with us for 15 years before it was his time to go and join all his other friends in cat heaven.